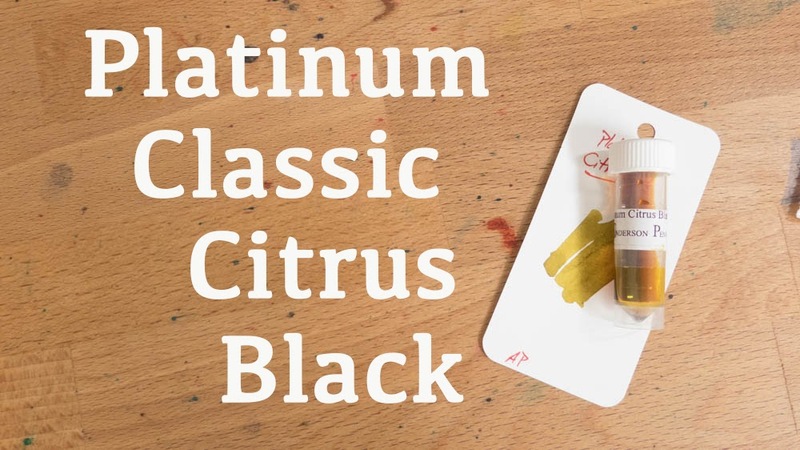 Platinum Classic Citrus Black | Inkdependence! 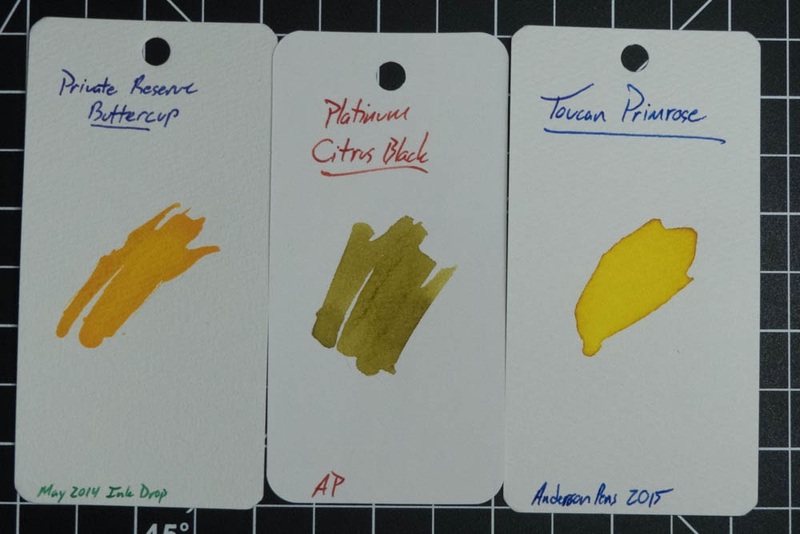 Thanks go out to Anderson Pens for the review sample! 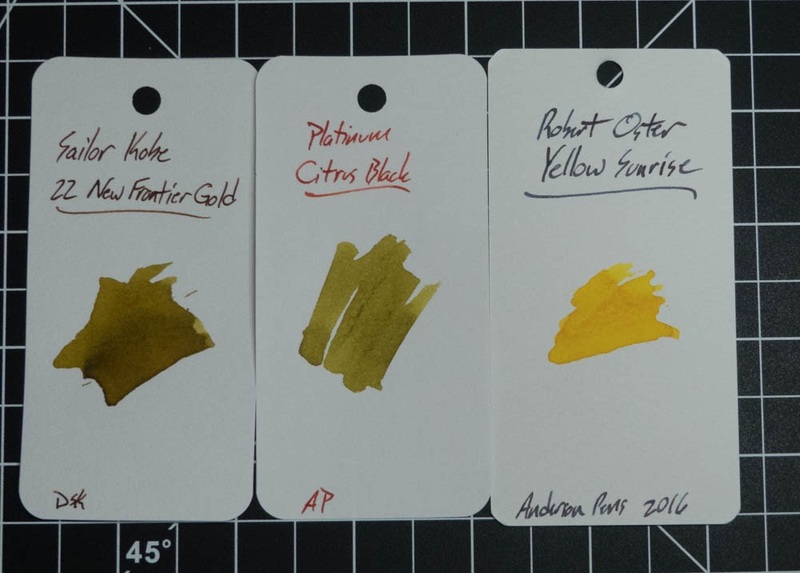 These newest inks from Platinum are really interesting. 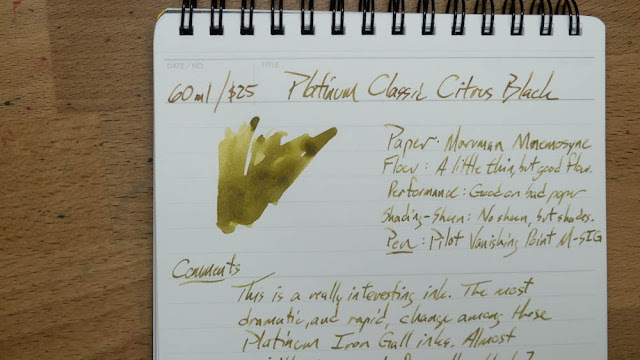 The Classic series are iron gall inks, and they come in a variety of shades. All of them have "black" in the title, and that seems fine in the cases of the sepia or the khaki. It is weird that this one is called "citrus black", though. I wouldn't have come up with that name in a million years. I mean, if someone says "Picture citrus black in your head!" 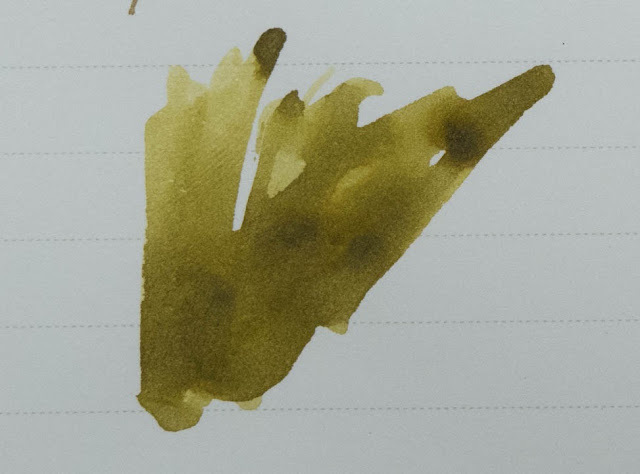 I have no idea what you'd think of (well, as long as you'd not seen this ink). 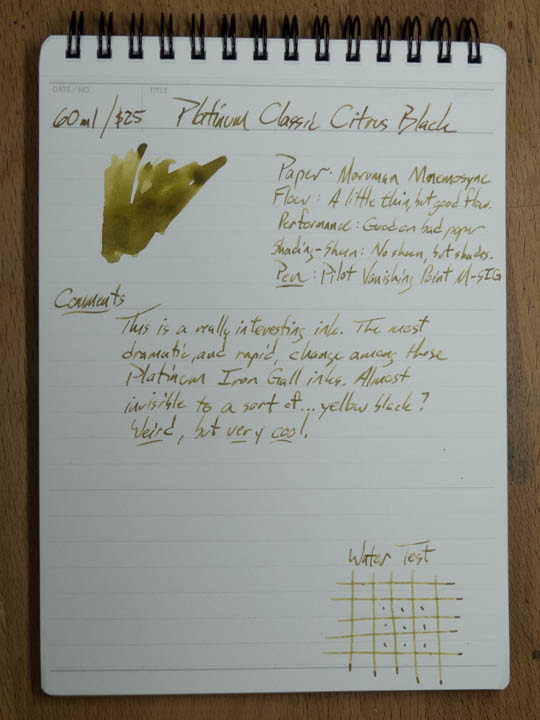 It turns out that Citrus Black is a light, bright yellow that darkens to a yellow-green-brown. It's a really cool effect, and it happens right as the words dry on the page. It's unique. It gets commented upon. It's a little hard to describe the process, so I really encourage you to watch the video for this one. Towards the beginning I've got a couple of stretches of live video that show just how quickly this ink changes colors. 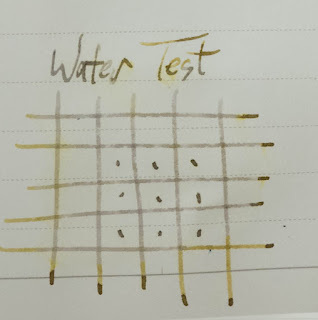 One last thing: These are iron gall inks. 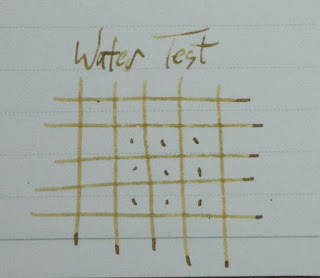 They're made to dry quickly, behave well on bad paper, and to be water resistant. This one does all of that. 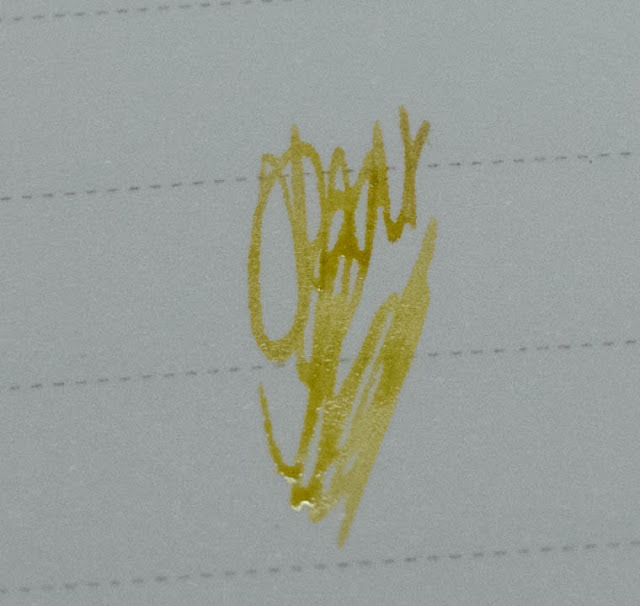 It's also a little bit dry on the nib. It gives you a little bit of feedback on the nib, though there's plenty of flow. I don't find it unpleasant, but I can see how someone would. The other thing about these is that the iron gall is probably a little big acidic. They could, potentially, do some damage to a nib. I haven't seen that happen, but there's potential. For that reason, I've kept these in gold nibs. 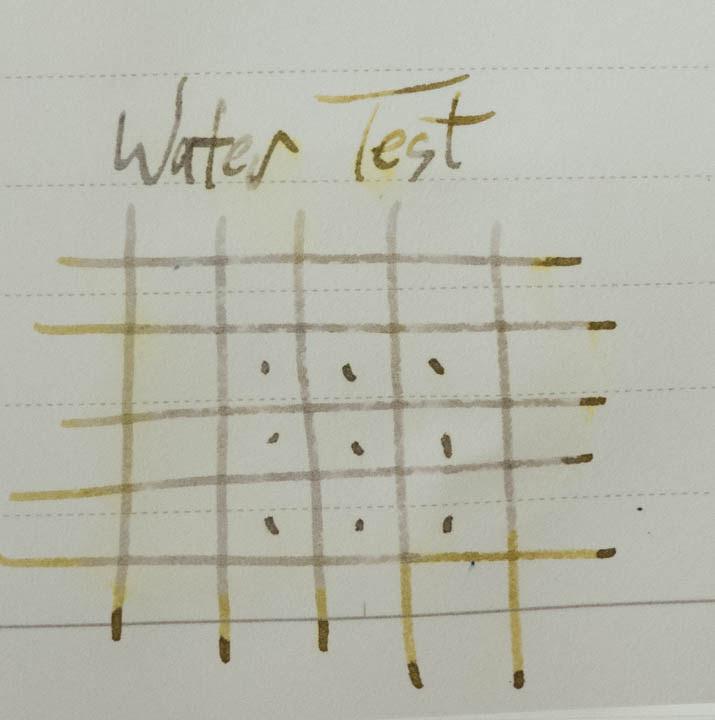 Gold doesn't react with much of anything. 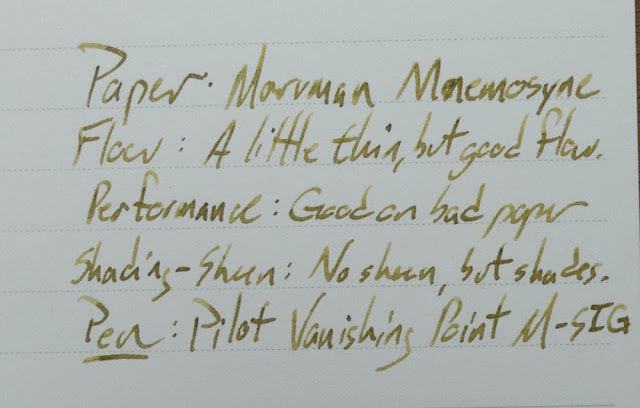 This sample was provided by Anderson Pens for review. Find it on their site in a 60ml bottle for $25. Above: a smear that has dried and darkened. Below: A squiggle that is pretty fresh. At least, it's as fresh as I could make it. 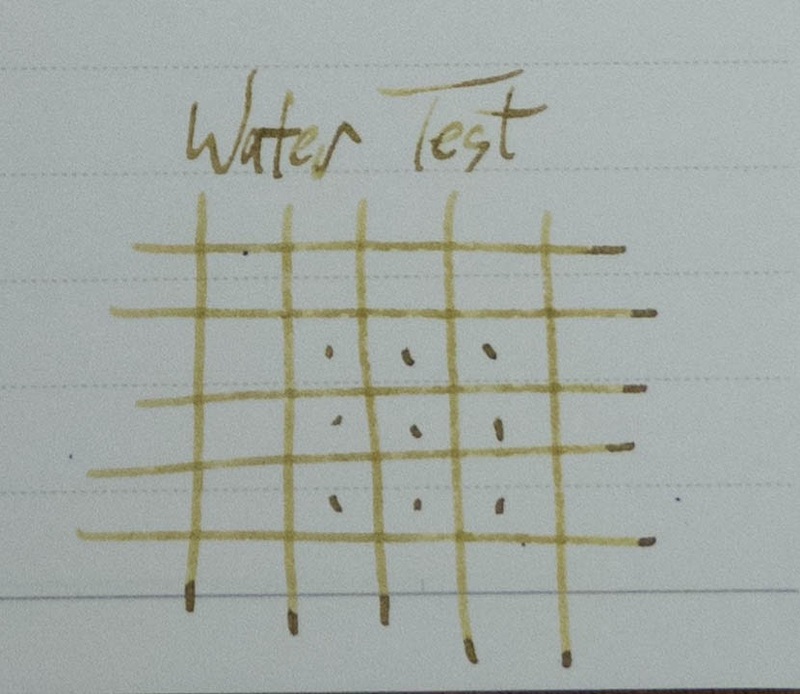 It starts to change as soon as you put the ink on the paper, so it's hard to catch that first, lightest color. Perfect. It doesn't get better than this on copy paper. It's nice that you share such information with us, I am grateful to you. This article describes everything very well.